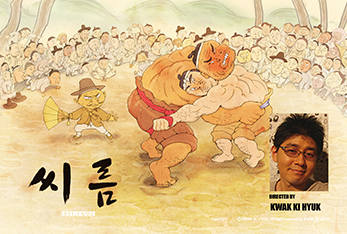 SSIREUM / 씨름 Kwak Ki-hyuk | 2014 | 2D Computer | 9'47" | HD A seemingly weak player defeats other bigger and stronger　players with his advanced techniques in a SSIREUM competition. 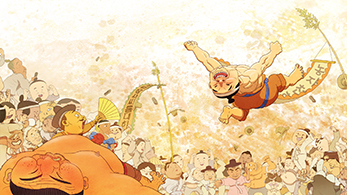 기획의도/(감독/곽기혁) The title of the 2D digital animation project that I woud like to undertake in the world is 'SSIREUM.' 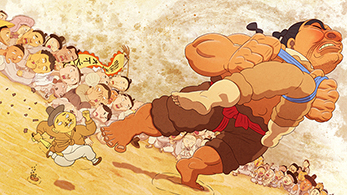 A Korean traditional sport of SSIREUM has been compared to Japan's SUMO in terms of its form and the way to play. 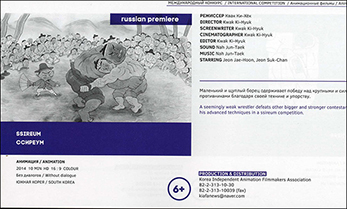 My hope is that this pantomime animation could help inform and promote SSIREUM to the younger generation in Korea and other people in the world. 이 2D 애니메이션은 전세계에 한국의 전통문화를 알리기 위해 기획되었습니다. 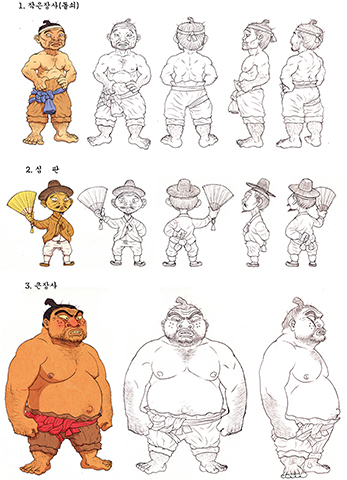 한국의 씨름은 일본의 스모와 비슷한 형태의 전통 놀이입니다. 저는 애니메이션을 통해 한국의 어린이들은 물론, 전 세계의 많은 사람들에게 한국의 전통문화를 알리고자 합니다.